Launch of the downstream Coreboot distro, Libreboot; RYF-certified Gluglug X60 laptop changes name to Libreboot X60. With the launch of the Libreboot project, users now have an easy-to-install, 100% free software replacement for proprietary BIOS/boot programs. This project is important; currently, many computer-makers notoriously deny free software developers the information they need to develop free replacements for the proprietary software they ship with their products. In some cases, manufacturers do not even share enough information for it to be possible to install a free operating system. In order to make it possible to run Libreboot on as many hardware platforms as possible, the project needs your help. Fortunately, there are a lot of simple and easy ways you can start supporting the project today, including buying a computer with Libreboot preinstalled, helping to test Libreboot by installing it on new systems, and directly contributing code and documentation to the project or to its upstream parent, Coreboot. 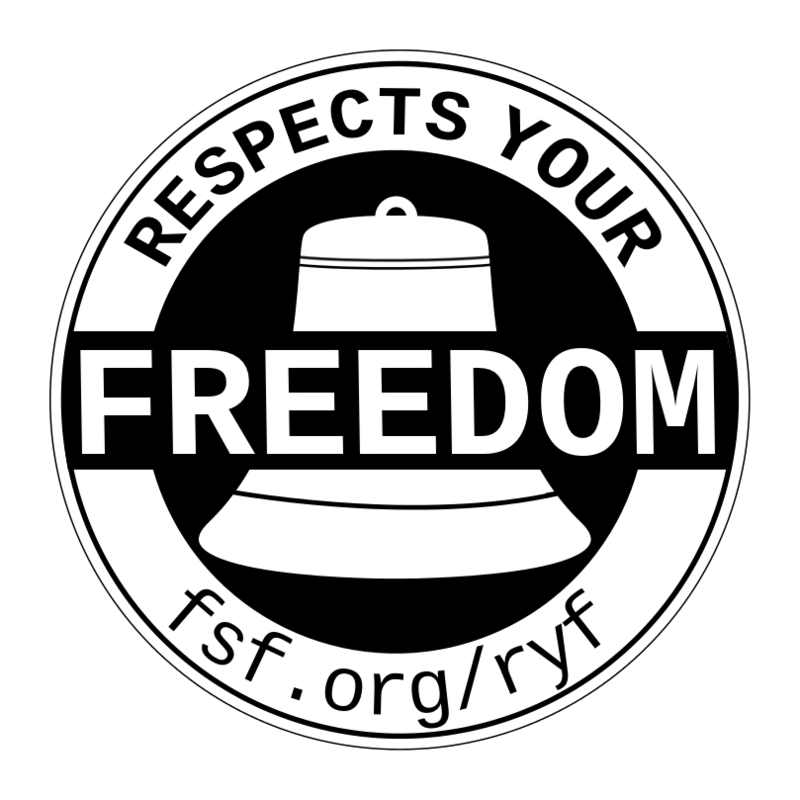 In December 2013, we awarded the Respects Your Freedom (RYF) certification mark to Gluglug for their refurbished and updated X60 laptops. In order to meet the FSF's RYF certification requirements, Leah Rowe of Gluglug had to be sure that the boot program she was distributing was 100% free software. Fortunately, the Coreboot project solved most of this problem for her. Leah was able to compile a version of Coreboot that ran on the X60 laptop, without requiring any proprietary firmware blobs. However, because Coreboot provides proprietary firmware blobs for several different chip-sets in the source code, Leah was still left with the task of removing those blobs from the source tree that she was distributing. At first, Leah did this deblobbing by hand. This spring, she launched the Libreboot project to formalize the process of deblobbing the Coreboot source tree. Coinciding with the release of Libreboot, Leah also decided to rebrand the laptop, changing the name from Gluglug X60 to Libreboot X60 (the RYF certification applies to the Libreboot X60 as well). You can support the development of Libreboot by buying a Libreboot X60 laptop today. 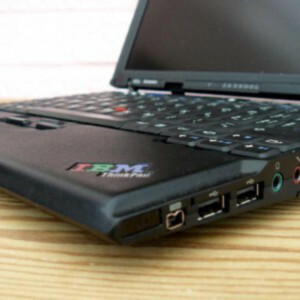 All laptops come preinstalled with Libreboot and Trisquel GNU/Linux, and have been upgraded with a free software-friendly 802.11n wireless card. In addition to the X60 laptop, Libreboot now supports select models of the ThinkPad T60, the X60 Tablet (with digitizer) and certain models of the MacBook2,1 which use the same chip-sets as the X60. While we applaud and endorse Leah's work on Libreboot, it is important to note that neither the FSF nor Leah considers Libreboot a fork of Coreboot. The Libreboot project clarifies this fact on its website with the following statement: "Libreboot is not a fork of Coreboot, despite misconceptions of this fact. Libreboot (downstream supplier) is a parallel effort which works closely with and rebases on the latest Coreboot (upstream supplier) every so often." The work done by both Libreboot and Coreboot are important and they need the support of the free software community if we hope to have more laptops bearing the RYF certification mark in the future. The Libreboot project has begun attracting some much-needed attention and support. "From small patches, bug fixes, feature additions, suggestions for improvement, help with GnuPG (at the time of writing, recent Libreboot releases are now GnuPG-signed) and more. To all those that have contributed to Libreboot, I thank you and appreciate it!" stated Leah Rowe. If you have questions, or are interested in working on Libreboot, send an email to info@gluglug.org.uk or drop by the #libreboot channel on the Freenode network.